Charles Manson lived from November 12, 1934 to November 19, 2017. Wayne Maunder lived from December 19, 1937 to November 11, 2018. He is shown above in his role as Scott Lancer. 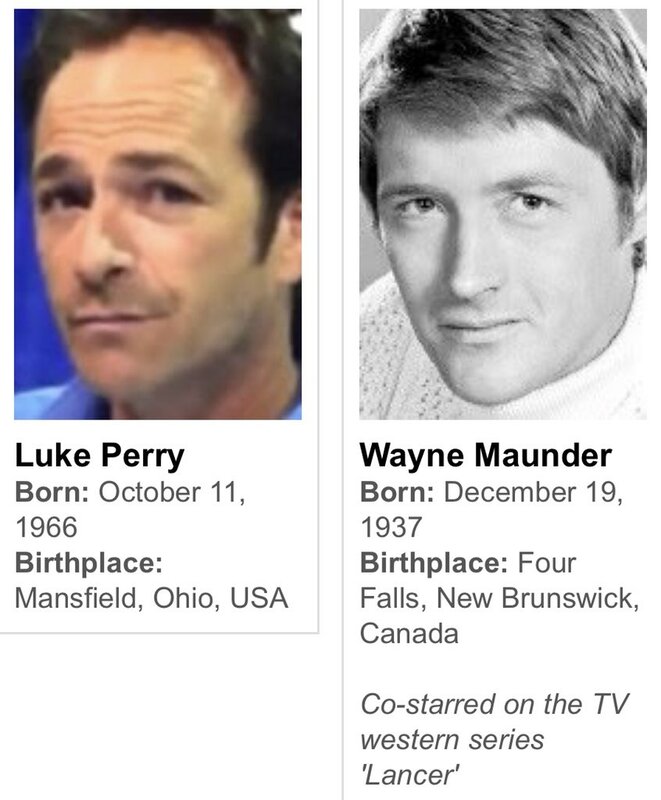 Luke Perry (born October 11, 1966) is set to play Scott Lancer (read "Wayne Maunder") in Tarantino’s forthcoming Once Upon a Time in Hollywood, about the Manson Family. The 1960s-1970s real-life actor Wayne Maunder lived next door to Sharon Tate. Maunder reportedly suffered a heart attack. Wayne Maunder, the star of 1960s TV Westerns who may have inspired a character in Quentin Tarantino’s upcoming film, died of cardiovascular disease Nov. 11 in Battleboro, Vt., a Vermont Department of Health spokesperson confirmed to Variety. He was 80. Maunder starred in ABC’s Custer as the titular Lt. Col. Custer. The Western aired just 17 episodes before it was canceled in 1967. 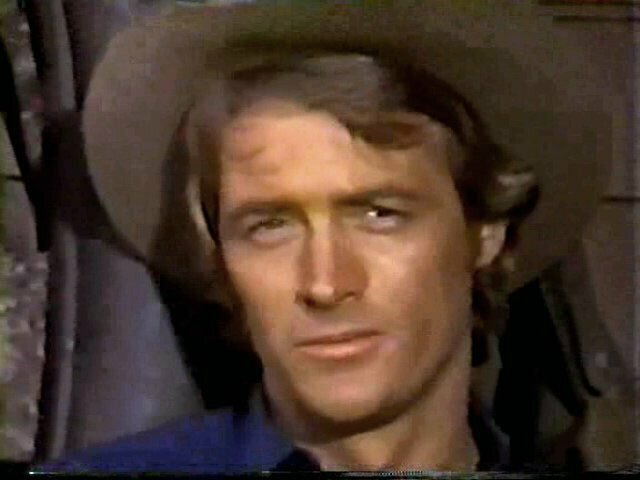 He also appeared in another Western, CBS’ Lancer, as Scott Lancer. The show ran for two seasons from 1968 to 1970. The actor also appeared on shows like Kung Fu with David Carradine, The F.B.I., and The Rookies, as well as the 1971 film The Seven Minutes, in which he starred as attorney Mike Barrett. Tarantino’s upcoming film, Once Upon a Time in Hollywood, is set in 1969 and features Luke Perry as the character Scott Lancer. 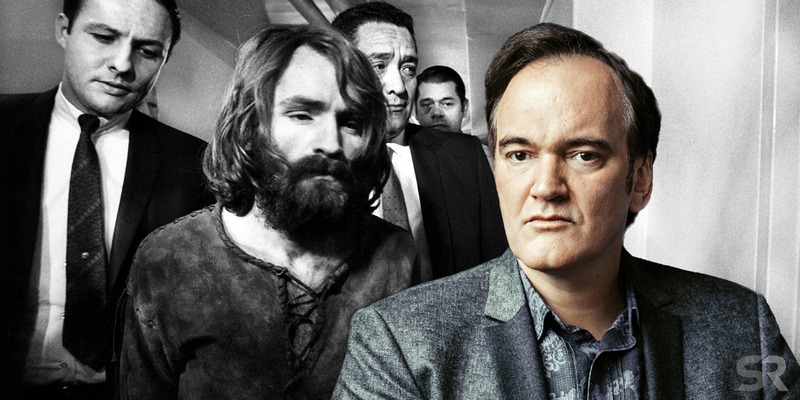 Based on real events surrounding the Manson murders, the movie stars actors as recognizable Hollywood figures from the era, like Sharon Tate (Margot Robbie) and Steve McQueen (Damian Lewis). Born Dec. 19, 1937, in New Brunswick, Canada, Maunder was raised in Bangor, Maine. Following high school, he had stretches in the U.S. Navy and tryouts for baseball teams like the Milwaukee Braves and the Pittsburgh Pirates. Later, Maunder caught the acting bug and studied under Stella Adler in New York City. The late actor is survived by his two brothers. Variety. Once Upon a Time in Hollywood will mark Luke Perry's first time working with Quentin Tarantino.